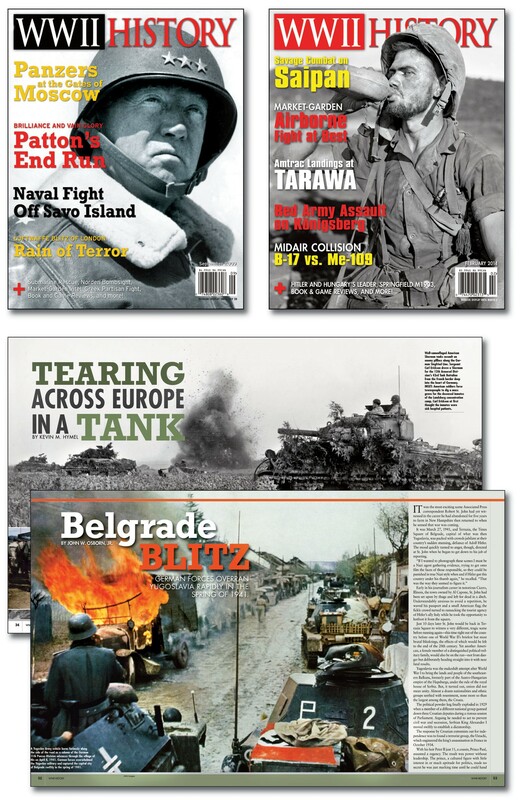 "Quite simply the best magazine chronicling the history of World War II." Order a Print subscription, delivered straight to your mailbox, or order a digital edition and start your fascinating reading right now on your iPad, tablet, Kindle or smart phone. Or get BOTH at a significant savings, and enjoy the immediacy of the digital magazine and the collectability of print. Six issues per year. There's no risk! 100% Guaranteed. If you decide WWII History is not right for you, just cancel and we will refund all unserved issues. 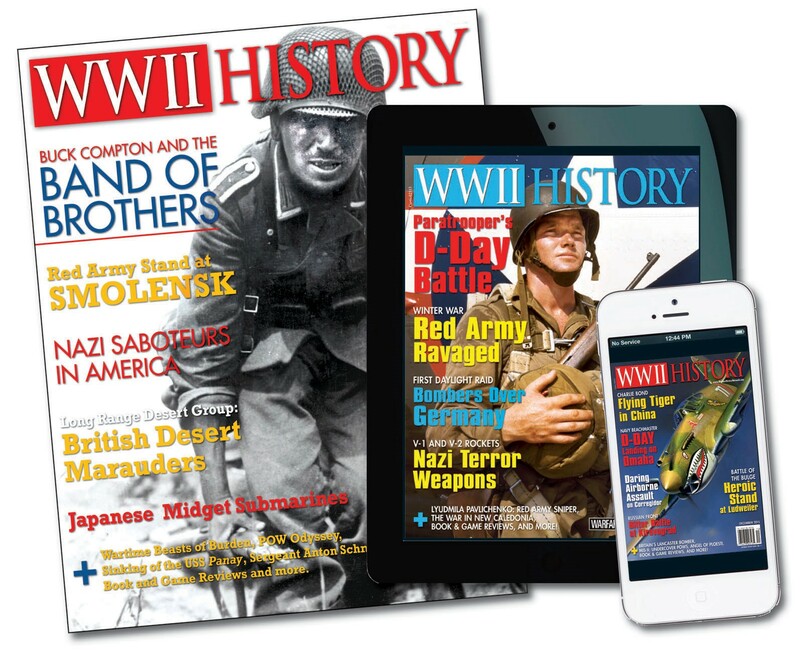 Order a Print subscription, delivered straight to your mailbox, or order a digital edition and start your fascinating reading right now on your iPad, tablet, Kindle or smart phone. Or get BOTH at a significant savings, and enjoy the immediacy of the digital magazine and the collectability of print. Digital & Print - $29.95! We understand that your email address is private. We promise to never sell, rent or disclose your email address to any third parties. Period! We Guarantee Your Satisfaction. You can cancel at any time and receive a full refund on all unserved copies, no questions asked. For your convenience, your subscription will automatically renew without interruption for as long as you wish, until you instruct us otherwise. Automatic renewal not available in CA.